Trucks play an essential role in Maryland’s economy, transporting products from manufacturers to consumers in 93% of the state’s communities. In fact, trucks carry 88% of total manufactured tonnage or 138,800 tons of goods per day into the Old Line State, according to the Maryland Motor Truck Association, Inc.
With these many trucks traveling through and sharing the roads in Maryland, accidents are bound to happen. For instance, truck accidents frequently occur in major interstates like I-95 and Route 70 (one of the top 10 most dangerous roads for truck drivers between 2013 and 2016, according to the Department of Transportation). These accidents can cause damage to property, serious personal injuries, and even death. Many factors lead to accidents involving large trucks. 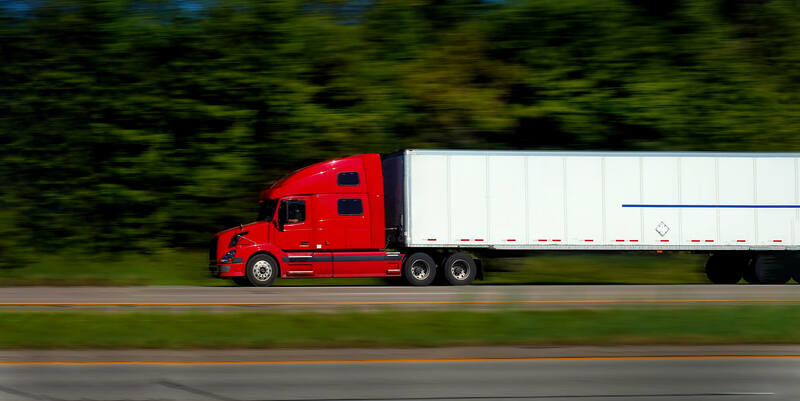 Here are the top three most common causes of commercial truck accidents in Maryland. Driver fatigue, usually manifesting as drowsiness, is a hazardous situation for both the driver and others on the road. Drowsiness reduces the driver’s attentiveness, slows reaction time and adversely affects decision-making. According to the National Sleep Foundation, drowsy driving causes more than 6,400 deaths in the U.S. annually. Meanwhile, the destruction it leaves behind costs the society $109 billion, excluding property damage, according to the Governors Highway Safety Association. And one of the most at-risk groups are—unsurprisingly—commercial drivers, especially long-haul drivers. Drivers who operate trucks that lack maintenance or are maintained improperly risk serious accidents on the road. Regular truck maintenance, as mandated by law, is essential in keeping vehicles in good running condition and by extension, everyone’s safety—motorists, passengers and pedestrians alike. Commercial trucks have many parts and components that need to be maintained, but tires appear to pose the greatest threat. In its Large Truck and Bus Crash Facts 2016 report, the Federal Motor Carrier Safety Administration (FMCSA) stated that tires were the second most common vehicle-related factor for large trucks involved in fatal crashes. The National Highway Traffic Safety Administration (NHTSA) defines distracted driving as “any activity that diverts attention from driving.” This includes talking to other people in the vehicle, fiddling with the vehicle’s entertainment or navigation system, and the most dangerous of all, using your cellphone. According to the FMCSA, distracted driving accounted for 6% of fatalities involving large trucks in 2016, of which 16% was due to cellphone use. Using the cellphone while driving is so hazardous, in fact, that many states in the country ban hand-held cellphone use as well as texting while driving. This is just the tip of the iceberg. And with so many possible causes, truck accidents are never simple cases. These complex cases are best handled by an experienced truck accident lawyer, such as Nick A. Parr who has held several serious truck accident cases. He works with medical professionals, life planners, and others to ensure you receive full compensation for any injuries or damages resulting from commercial truck accidents. Contact Nick A. Parr for a free consultation today!